Liposonix uses High Intensity Focused Ultrasound to rapidly heat and destroy unwanted fat cells. The precise frequency and energy of these waves causes huge microscopic friction between these heated cells causing their permanent obliteration. This makes Liposonix the most effective non-invasive treatment for permanent fat destruction. On average – clients can expect to lose a minimum of 3-5cm per session (that’s one dress size) after 1 session. 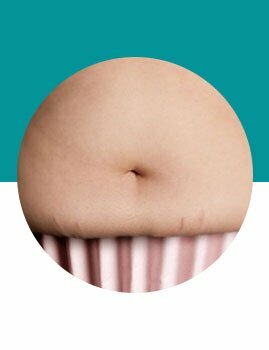 It is a very effective procedure that requires only 1 treatment (depending on your slimming goals) of 1-2 hours. Most clients experience noticeable circumference reduction after 2 weeks with increasing results after 8 – 12 weeks. Liposonix removes cellulite & excess fat, preventing this from recurring in the treated areas. This treatment does not remove water but fat accumulation and toxins. The only way to regain this fat – is if you eat it back on.